I recently got back from Madrid. Unlike the usual Dutch vacation, this trip is worth to me a lot more than just the customary summer getaway. It marked my 25th birthday and I celebrated it in the airport of a city I never dreamed of going. The first 12 hours of my birthday was spent sleeping on the cold floor of Madrid airport, in the window seat of Ryan Air, on the front seat of a bus going to Brussels and in the train going to Zeeland. Although I didn’t plan of spending it almost alone, I am glad that I had time to ponder on so many things that I wouldn’t have thought of while celebrating surrounded with family, friends and love ones. Six years ago, I listed down five things that I wanted to achieve when I am 25. First to be a published writer and write a book, visit Paris, support my sister until graduation, have a liquid bank account and marry my then boyfriend ( I scratched the last one when I realized I don’t want to spend the rest of my life with him). Looking back, I almost achieved everything. I became a writer for publications like newspapers and magazines, I visited Paris few months ago, my sister already has her degree and my bank account, although not very big has some money on it. The bank account is actually a symbol of being independent, earning money and spending what I worked hard for. And I was able to accomplish that, although MK paid for the train and the ticket (I could have done that myself but it was his birthday gift to me), I spent for this birthday trip myself. If I am going to compare my accomplishment these days from the time I wrote those goals, I can very well tell myself that I have gone far. Unfortunately, that is not what I feel. As I age, there’s seemed to be more and more things that I want to achieve and it doesn’t end with material things and fulfilled ambition. I want more out of life and I want to find a happiness that is lasting, a happiness that won’t let me crave for more. But I realized as well that happiness is an evolving state of mind. It doesn’t stagnate, it’s changing as your perspective in life changes. Will I ever catch that fleeting happiness, that contentment that everybody is so trying hard to achieve? Will I be forever happy with the man I love now, will the high of traveling (and traveling alone) last a very long time, will my career fulfills my cravings for self worth and will I still love myself when I am gray and wrinkled? I do not have definite answers for those questions although I know that today, I am happy and I am claiming everything that fate is laying on my table. I’m actually grabbing it and not letting anything slip away. But of course, I want more! The downside of having so much time to think about life is looking forward on the future. With my quarter of life, I don’t really feel that I accomplished a lot and the future is still a big question mark. Although I have plans but things can easily change with events that are unexpected. But that is also what makes my life exciting, the uncertainty of life and I am looking forward to it. So now, let me list down again the things that I want to accomplish 5 years from now and I am writing it with more enthusiasm than five years ago. After all, dreams do come true!!! 2. Visit all the 7 continents and its key countries and cities. 4. Have a bank account that is not only liquid but will allow be to travel the world and still be eating three meals a day. 5. Build an enormous library that will house all the books that I love. 6. A house on top of a mountain with a very nice writing room. 7. Be as beautiful as I am now (for all of my life). 8. Love, completely, passionately and with no reservations! You might noticed that all of these goals are all about myself. For me that is the basic of giving love, being entirely happy, overflowing that you can pass it to other people. The most important thing I am promising to myself now is, I won’t hold back in achieving all these goals! Happy 25th birthday to me!!!! Im currently waiting for my plane to Madrid which is about to leave in two hours provided that there will be no delays. Ive already checked in, passed the douane and unfortunately just lost the EUR14,0 transparent spray Garnier sunscreen to border security because of course it exceeded the 100ml allowed liquid volume. I feel so bad about it, it’s still a few hours of work which went to the waste basket, how unfortunate! 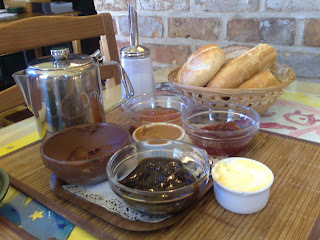 I also already spent EUR20,0 for the bus from Brussel Zuid to the airport and the lunch of coffee and pain chocolade I had at Paul’s. Oh and if I may add, if want to really save up here, don’t go to the Irish pub in the airport. I bought a bottle of water which cost me EUR3,30. And I thought that bottled water in the Netherlands is ridicously priced already, I didn’t know that it can still be worse. It took three months before I can go back to the salon to have my unwanted hairs removed. I am glad I waited that long because I discovered another waxing clinic which is nearer than Amsterdam. My last brazilian wax from Aesthetique Cocoon was May and I didn’t have time to schedule another appointment due to my busy schedule. Unfortunately when I tried to book an appointment with Ria on the day of the Gay Parade, she couldn’t accommodate me due to the volume of customer she had that day. So I tried searching for other salons that offers Brazilian waxing in Amsterdam. I found some names like Beauty and Nails Marie Claire which offers the only sugar waxing in Amsterdam. Again it was unfortunate that when I tried calling them several times, only a voicemail can accommodate me. So instead of wasting my time looking for other options, I searched for one that is in Rotterdam. I discovered More Beauty Exploitation’s Angel Salon owned by Angela Ganga-Jasai which is located in Graaf Floristraat 78A. Because I came from school and the train was always late from that part of Rotterdam, I missed my initial appointment. Angela was considerate enough to reschedule me on the same night. I was doubtful at first of the quality of the service because their website, www.angelsbeauty.nl was not professionally designed. But I was proven wrong by Angela’s expertise in this profession. She is a witty woman who knows her craft from the basics and loves her job passionately. Unlike Aesthetique Cocoon’s blue wax, Angel’s Beauty uses brown wax. According to Angela, the blue wax is an old type of wax that was made of chamomile so that it will be gentler to the skin. 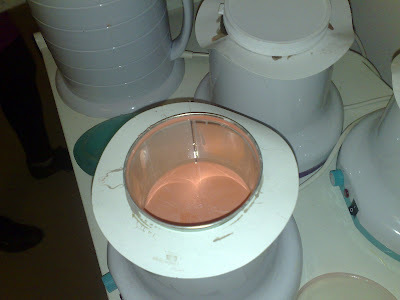 Meanwhile, the wax that she is using is made of the basic wax with some plastic ingredients which makes the wax softer but has more hold on the hairs. Personally, I find that the brown wax applied to me is better than the blue wax because it is very effective in pulling the hairs from the roots. She also let me try the pink wax which uses strips to take the hair off, the same technique that they use in the Philippines. Because strip waxing is more painful, I told her that I prefer the other technique. The Brazilian wax took at least 30 minutes and was less painful than that in Aesthetique Cocoon. Angela was also very talkative *like me, explaining to me the right way that a Brazilian wax should be done. 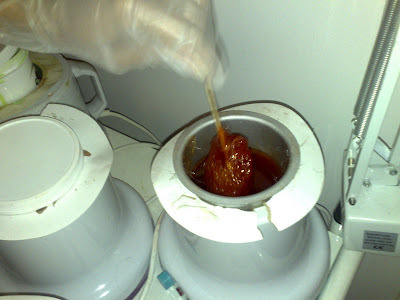 She works fast and efficient and told me several ideas about Brazilian waxing that no waxer have every told me. It’s a plus that she speaks English very well so we were able to communicate better. I also had my whole legs waxed after 6 months and Angela worked very fast on it. She applied a thin layer of brown wax on my legs using a metal spatula, unlike with the Brazilian where she uses a wooden applicator to apply thick layers of the wax. This time she uses large strips to remove the hairs. I think it just took about 10 minutes to do the whole legs. Had I brought more money, I would have had my torso, lower lips and chin waxed as well but I’ll just leave that for MK to do. I think he gets a high watching me cringe in pain whenever he waxes my upper lips and chin. Angel’s Beauty two-floor clinic is housed in an old building with a quite surroundings. Because of the high ceilings, the room is cooler than Aesthetique Cocoon and I don’t remembering getting warm or sweating out in the entire duration. There is only one room for waxing, facial and body treatment that’s why Angela can only accommodate one person at a time. 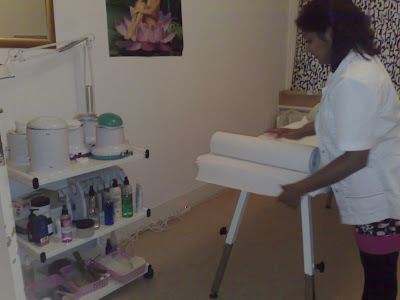 She is also the only one working on her salon because the one doing the massage left two weeks ago. 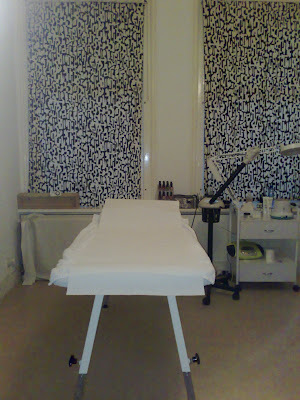 The treatment room is spacious, with two beds for separate treatments and a shower. The waxing bed is higher than normal waxing beds. I forgot to ask Angela why is it so but I would assume that it’s because she likes to do the waxing standing, another characteristic that separates her from the other waxer that I’ve known before. The bed also reclines to give comfort to the client. I also noticed that it is softer than most waxing beds Ive experienced before. There’s a cutely designed divider that separates the shower from the rest of the room. 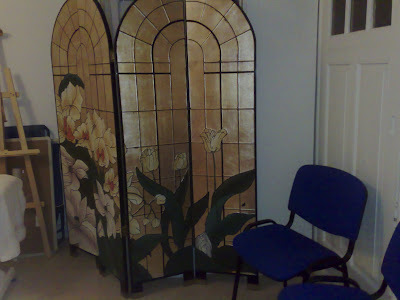 Beside it are few chairs which are reserved for the companions of the clients. There’s also the standard wash bin and the tables where all the respective beauty paraphernalia are arranged. And I love that cute wallpaper black and white wallpaper that covers the window. Well I am not really sure if its a wallpaper but it gives a nice contrast to the whiteness of the whole room and adds life to the usually boring salon rooms. 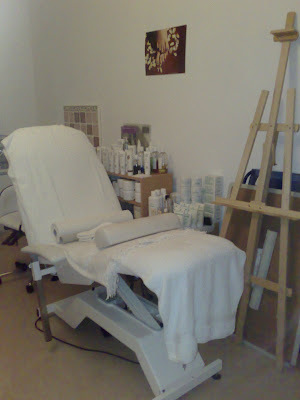 The cost of the service, Brazilian wax and full legs wax was EUR82,50. Her rates are just a little lesser than that of Aesthetique Cocoon but it’s definitely cheaper for me because I don’t have to go all the way to Amsterdam for my regular waxing. The trip makes the cost twice more expensive because I usually bring MK with me. There’s still a lot to be written about Angel’s Beauty and Angela herself but I will reserve that for the next post. 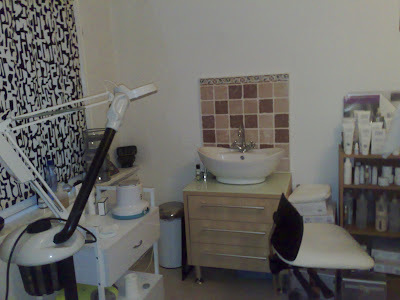 Meanwhile, if you want to check out Angel’s Beauty, probably the only waxing salon in Rotterdam or the only one offering Brazilian wax in Rotterdam, visit her website at http://angelsbeauty.nl. My experience with Angel’s Beauty can be summarized in one thought, don’t judge a book by its cover, or for this matter, don;t judge a salon by its website! The trip to Brugge was my sole plan and MK just had to say yes when I told him about it otherwise I’ll be going alone. I searched for tickets, book the hotel and prepare our itinerary. It’s my first time to chip in with the expenses and I volunteered to shoulder the hotel cost. It was such a luck that I found one that is very affordable. 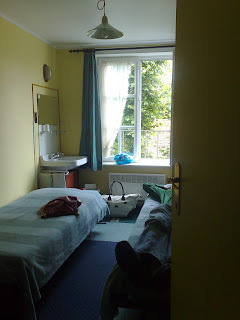 I found Hotel Keizershof in the Internet while browsing for budget lodgings. It earned good reviews among former clients so I immediately called up the hotel to book a room. The polite owner, Stefaan, answered in two rings (and in perfect English). He told me that he only has one available room left, with two separate single beds so if it ok for me because I’ll be coming with my boyfriend. I dont see any problem with that so I book it for a night for EUR44,0. That comes with free breakfast. I also sent an e-mail to confirm my booking and he answered after 15 minutes with the map and directions going to the hotel. MK and I were used to sleeping in hotel rooms with two separate beds. 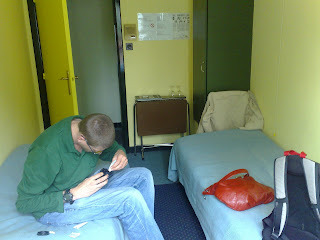 Somehow, we always get a room like that even if we booked for one queen size single bed. I think it’s the thrid or fourth time that we did that to save on money. And even when somebody else was paying (Mom and Dad paid for our travel one time) we still ended up on a room with two single beds. 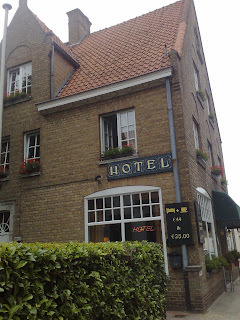 Hotel Keizershof has only 7 rooms that cost from EUR25,0 (for single or double rooms) EUR44,0 (double and twin) EUR66,0 (triple) and EUR80,0 (quad). Each room has a sink and closet which contains bed necessities like extra pillows and blankets. 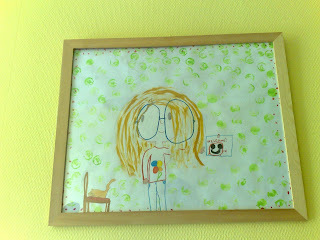 The walls are decorated with drawings of Stefaan and Hilde’s two daughters. The shower and WC are outside the rooms, at the far end of the narrow hallway, which was at least three steps away from our room. 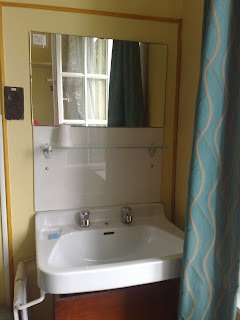 The bathroom is very small, a little area under the staris which was installed with a door, a shower box and a sink to quality as a bathroom. There are two chairs inside where on one, you can find fresh towels in the morning while on the other, you can put your clothes. Taking a shower can be very tricky because the handle of cold/hot water can move easily, with even an accidental nudge. There is no soap or toiletries on the sink so you have to bring everything, soap, facial cleansers, tootbrush and toothpaste. 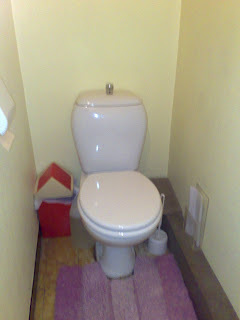 Meanwhile, the toilet is just beside the shower room, clean with a lot of pale pink tissues on one corner. It’s also very small but the most important thing is that, it doesnt stink. 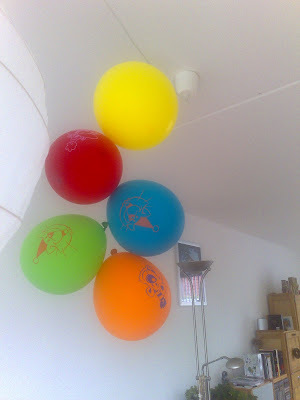 The hotel is run, hands on by Stefaan and Hilde, with some help on decorating from their little daughters. Every after check-out, Hilde would go up to the rooms to clean it, change beddings and arrange the tables and a couple of chairs left in mess by guests. Stefaan recieves the guests and takes care of breakfast in the small cafe (exclusive to the hotel, I guess) downstairs. The couple is very polite but not really friendly. They would attend to your basic needs especially during breakfast, they will even accomodate your baggage when you want to leave them there after check out if you still want to explore the city. But they don’t appear to me someone which you can start and enjoy a conversation with. Probably they are just too busy. What was very nice was, the family really work together and is very very close. In the morning, you can see them having their breakfast at the back of the hotel (near the parking lot), after all the guests have eaten at 10AM. Hotel Keizershof is stripped of any luxury that you can find in starred hotel. It looks to me like an old house which was converted into a lodging house so it would be of use and make some money for maintenance. You can even smell the generations gone by in the hotel. The stairs are not of a typical Dutch which is so narrow but made of old wood. There are book/clothe trunks in each landing (there are two floors), old books and photographs on the wall (some are even creepy) and it can be quite dim during the night. We were lucky to be booked in the third floor with a very small balcony attached to the mainhouse by a couple of iron bars. I dont think the balcony can hold the weight of two people so MK and I take turns in smoking on the balcony (it’s prohibited inside the room). It looks down to the parking lot (free parking for customers) and to the cafe nearby, which was very beautiful during the night with the lights, the people drinking and generally the atmosphere of good times. 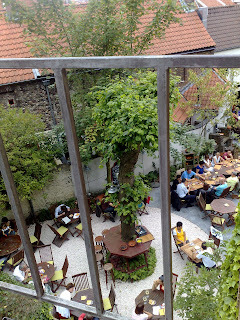 I wouldn’t mind staying again at Hotel Keizershof the next time I am in Brugge (if Im ever coming back. I had a policy on city travels, I never do a second-time visit). But I’d definitely recommend them to no-frills-demand travelers who might find themseleves in Brugge one day. The hotel is 5 minutes away from the train station and 10 minutes from the main center so it’s really very easy to go back and forth when you are staying there. There’s not much info that you can find in the website which I havent mentioned here (except the pictures of all rooms) but visit it anyway at http://www.hotelkeizershof.be/. You can book you stay by calling +32 50 338728 or email at info@hotelkeizershof.be. It is located at Oostmeers 126, Brugge, Belgium. Paris has always been in my mind, especially the sparkling bright lights of the Eiffel Tower and the stories about romance and romantic getaways in this city. To be honest, I don’t know so much about Paris except for the image of the Eiffel Tower and the city’s perennial association to love. Two months ago, I was able to have the oppurtunity to have my dreams realized. It started from booking a ticket a month before the trip in March and a hotel two weeks before we are actually going to spend the weekend there. Our hotel of choice was Hotel Campanile. We are really on a budget since there has been a lot of other expenses the previous month so we were looking for a hotel that fits our budget. After weeks of searching for one that is suitable for our budget, we agreed to book at the Hotel Campanile in Boulevard Berthier. Booking for a room was very easy online. We booked at www.booking.com which only took about 10 minutes to complete the total transaction. They sent us all the details, costs of the hotel and additional expenses should we prefer other services like internet, extra bed, parking, etc. They even had a direction to the hotel emailed to us. We arrived at the hotel already late, around 8.30PM and very very tired so the last thing we would want is a hassle in booking. Thank heavens that the hotel staff is very cooperative. The front desk person that night, a friendly chubby guy with understandable English (and he did tried talking English to us as much as he can) confirmed our reservation. Unfortunately my boyfriend’s credit card didn’t work with their system. Hungry and really yearning for food, we asked the guy if its ok to just pay later in cash since we dont have enough money. Without hesitation, he gave us the key so we can deposit our things in our room and go for food first and then withdraw money afterwards. The room that we chose EUR65 per night, a one-bed for two person room. I must say that compared to the ones I was used to, the room is a bit smaller, only enough for the bed, a table near the window for the coffee pot, magazines, and some writing materials, a bedside table and the cabinet. There’s not so much room for walking around and if you will bump into each other if youre in the same corner at the same time. On the good side, you can”t say anything bad about the cleanliness and organization of the room. I find the bathroom very nice, spacious and very clean. There are the usual needs like bathrobes, set of towels, and soaps but no toothpaste or toothbrush so we still need to buy those things for another EUR12 in the vending machine downstairs. There is a bath tub and that is a plus point for me because I like soaking in hot water after a very tiring day. It was very useful after one whole day of walking around downtown Paris. By the way, they dont replace your soaps (although its enough for a week) because of some “green policy” of the hotel. There are coffee (bad ones) and tea sachets are provided and replenished everyday but the cups are made of plastics. I think there was only one cup that is made of glass and they do not replace that so it was a bit of a disappointment. We have to bear holding hot plastic cups when we want to sip coffee in our bed. There isn’t enough room (only one chair) near the table so it’s not really cosy to drink coffee in the table especially in the morning (that’s the first thing we do when we wake up). The cabinet is spacious enough for a lot of clothes, even for a whole two weeks of wardrobe. Meanwhile, the hotel’s lounge area is decent enough, with couches of different colour that brightens up the rather gloomy athmosphere of the area. I don’t like the lighting so much, I think they should vamp up their lounge area so it should be more inviting. We didnt take the rate with breakfast so I couldn’t say much about the food. Over-all, I give Hotel Campanile in Boulevard Berthier 6 out of 10. 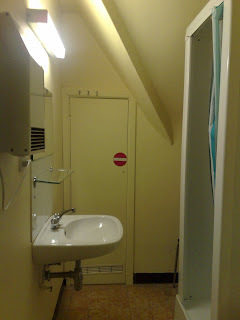 It’s not the cheapest hotel in Paris by the way, and I am not sure about its star ratings but if you are on a budget and you want a decent hotel in a not so noisy location, I will recommend this to you.